Indigenous people fighting to preserve their forests continue to face numerous threats, including physical violence. 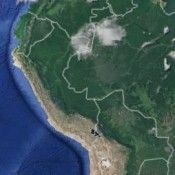 In the latest incident, four Ashaninka leaders from Peru were murdered, apparently by illegal loggers in a revenge killing related to their efforts to defend their forests against illegal encroachment. 10 September 2014 | 0116 Eastern Daylight Time | UPDATE: The Upper Amazon Conservancy and its Peruvian sister organization, ProPuríºs, report that the widows and orphans of the four assasinated leaders have fled the village of Saweto into the regional capital of Pucallpa. “The remaining members of the community persist in Saweto, surrounded by illegal loggers who continue to issue death threats over the radio,” reports Diego Benjamí­n Leal, who has been in touch with the village via skype. 9 September 2014 | A planned meeting of leaders of the Ashaninka community took a tragic turn when four leaders from Peru traveling to meet Ashaninka leaders in Brazil were assassinated. Edwin Chota Valera, Leoncio Quincima Meléndez, Jorge Rios Perez and Francisco Pinedo, leaders of the Community of Saweto in the jurisdiction of the Masisea district on the Peruvian border with Brazil, were murdered during a patrol in the forests to meet with co-leaders in Brazil, Robert Guimaraes Ví¡squez, regional indigenous leader, said. The crime may be motivated by revenge by illegal loggers, Guimaraes-Vasquez said. Illegal logging, drug trafficking and the invasion of their territory by Brazilian citizens are the biggest problems facing people in Saweto. Chota Valera had repeatedly lodged complaints with Pucalipa forest authorities against illegal loggers in the area who were indiscriminately exploiting the natural resources of the community. But these complaints have had little success and illegal loggers continue their illegal activities in the Alto Tamaya. The Ashaninka leaders from Peru were travelling through the forests to meet with the Ashaninka in Brazil to continue their collective work to monitor and safeguard their territories from the frequent invasion of illegal wood loggers and narco-traffickers, said Beto Borges, Director of the Communities and Markets Program of Forest Trends (publisher of Ecosystem Marketplace). The Ashininka are among several indigenous peoples participating in efforts to harness carbon finance to save their rainforests, and the Communities Initiative has been working with the Ashaninka in Acre, Brazil to develop an integrated approach to land management, Borges said. “Our Ashaninka friends expelled the illegal loggers from their lands in Brazil and have been supporting their brothers and sisters in the Peruvian side to do the same, he said. Borges expressed sympathy for the Ashaninka people in Brazil and Peru and asked authorities on both sides of the border to conduct a full investigation and “do justice in this cruel crime. “We also ask the governments of Brazil and Peru to ensure the protection of Ashaninka territories and support their work in defense of their lives, their culture, and the forest, which they have in maintaining standing for generations, he said. The region has seen a flurry of violence against indigenous people not seen since the violence-drenched 1990s, and two groups of previously uncontacted indigenous people have emerged this summer: the first, comprised of seven young warriors, emerged in June, and the second, comprised of two dozen women and children, emerged in July. Both groups said they had been attacked by intruders believed to be either drug runners or illegal loggers. The escalating violence is not confined to the Brazil/Peru Border. In early August, the indigenous Ka’apor people of northeastern Brazil, far from the Peruvian border, forcibly removed illegal loggers from their territory.